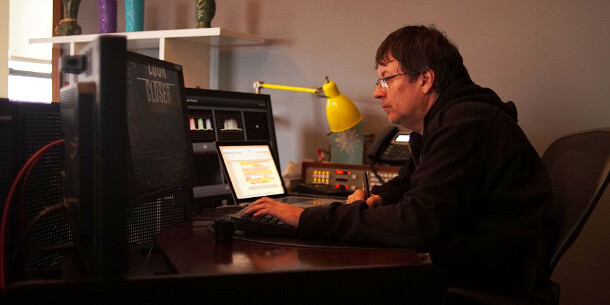 In this sponsored article, Nice Shoes CTO Robert Keske reveals the factors that govern the award-winning creative studio’s choice of new technology – and why it chooses Lenovo ThinkStation P Series workstations. With a portfolio that ranges from Cannes Grand Prix-winning ads to music promos for Pink, Nice Shoes is one of North America’s most respected creative studios. Yet with fewer than 30 artists in in its New York headquarters, it is also one of the most agile. The company has remained determinedly independent, and rather than simply expand, it chose to co-operate, parlaying its clients into a network of partner offices that now covers half of the United States. On top of its visual effects work, the firm maintains a successful color and finishing business, and recently expanded into virtual and augmented reality. The man responsible for supplying the infrastructure to support these creative changes is CTO Robert Keske: an industry veteran with a résumé that also includes seven years at Autodesk. Below, Robert discusses what a smart studio should consider before investing in CG hardware, including the need to balance innovation with an evidence-driven approach to technology, the key trends currently affecting the market, from GPU compute to machine learning – and why Nice Shoes has recently switched to Lenovo’s ThinkStation P Series artists’ workstations to help it stay ahead of the curve. 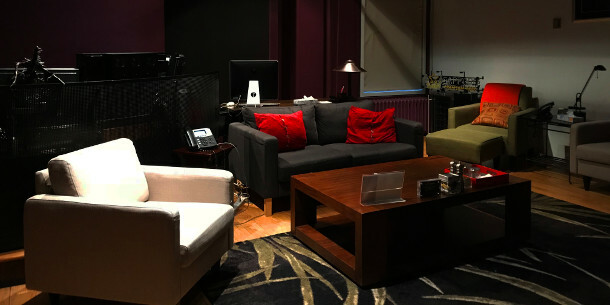 Part of Nice Shoes’ New York studio. Rather than simply expanding its Manhattan headquarters, the company has chosen to grow by building a partner network of clients that now covers half of the United States. 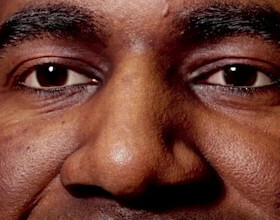 Founded in 1996, Nice Shoes quickly became one of New York’s best-known post-production facilities, with a client list that now ranges from international brands like Gillette, McDonald’s and Mercedes to international superstars like Beyoncé, Kanye West, Lady Gaga and Drake. Rather than follow the conventional route of launching new offices in other global hubs, Nice Shoes chose to think strategically, teaming up with its clients to create a network of remote partners in regional marketplaces and then, based on the success of those endeavours, began to launch satellite locations. Today, its extended network comprises 10 offices, stretching down from the Canadian border to Miami and Austin, Texas. “We’ve taken good care of our clients over the years, establishing ourselves as trusted partners, and a lot of the locations we’re in are because of the strength of our relationships with those customers,” says Keske. Clients visiting one of the remote partners are connected to a Nice Shoes artist via a secure real-time video feed, viewing the session on a display calibrated to match those at Nice Shoes’ New York studio. For its network infrastructure, Nice Shoes takes what Keske describes as a “corporate IT approach”, using a range of off-the-shelf technologies for managing an IPsec VPN service, adapted to support the bandwidth required by a business working in the entertainment industry. “As our industry continues its transformation, the adoption of Fortune 500 IT practices, at least in main infrastructure projects, allows our efforts to focus on providing creative solutions for our artists,” says Keske. Lenovo’s ThinkStation P Series workstations in use at Lenovo. The firm has almost completed the process of switching all of its artists’ machines to Lenovo, and plans to do the same for its Flame systems. Nice Shoes carefully specifies its artists’ hardware: not just the 25 workstations in its New York studio but also those in its partner offices, to ensure a consistent client experience. The company is just completing the process of migrating from its old Mac tower workstations to new Windows 10 machines supplied by Lenovo. Each of the new creative desktop systems is a ThinkStation P Series workstation, with dual Intel Xeon processors totalling between 8 and 12 CPU cores, and at least 128GB of DDR4 memory. The studio uses NVIDIA graphics cards: always two or three per workstation. 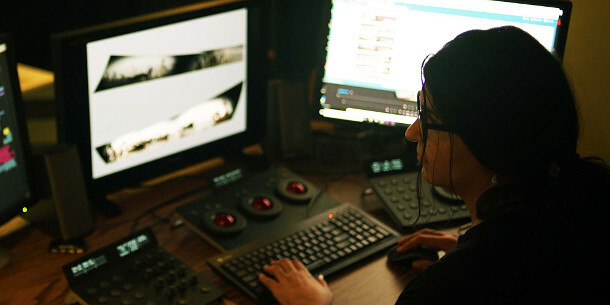 That software includes tools from Adobe Creative Cloud and Autodesk’s Media & Entertainment Collection – primarily Maya, 3ds Max and Arnold – plus Avid Media Composer and Nuke. Finishing is usually done on grading or Flame systems, which Keske says will be next to move over to Lenovo. One example is Nice Shoes’ choice of graphics cards. While Keske usually opts for the maximum-spec card currently available, the studio mixes and matches GPUs from NVIDIA’s professional and consumer ranges. 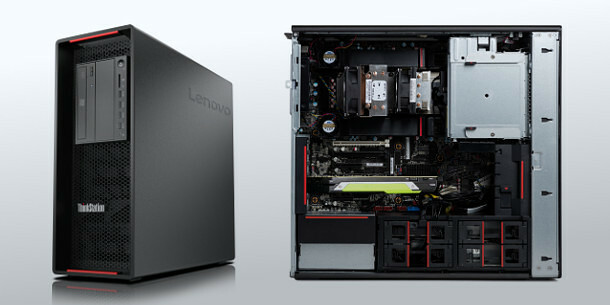 Side and interior views of Lenovo’s ThinkStation P720 tower workstation. Nice Shoes CTO Robert Keske praises the power, expansibility and “whisper-quiet” fan design of the P Series machines. 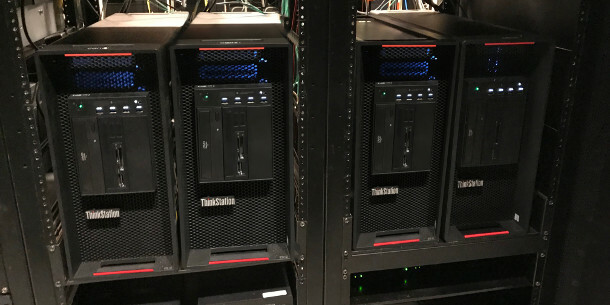 On starting the process of replacing Nice Shoes’ Mac workstations two years ago, Keske tested systems from all of the major vendors, secondary white box manufacturers, and self-build machines, eventually settling on Lenovo’s ThinkStation P Series for its combination of performance and configurability. When adopting new technology, Keske says that he looks for a combination of maturity, flexibility – both in terms of the operating systems supported and of data redundancy – and price, describing the process as striking a “delicate balance” between the current needs of the studio, and its likely needs in future. At the minute, Keske says that a key challenge in the industry is deciding how to handle GPU computing. While Nice Shoes is investing heavily in the GPU compute capabilities of its local workstations, Keske feels that GPU virtualisation is more problematic. A grading session in progress at Nice Shoes. According to CTO Robert Keske, the increasing resolution at which images are captured for projects like this is one of the current key trends in the CG industry. For Keske, other key current trends include the rise of object-based storage and virtual tape processing, and the ever-increasing resolution at which images are captured – Nice Shoes is already working on projects that involve media recorded at resolutions of up to 24K. Future opportunities include virtual and augmented reality – something that Keske feels is “not that big a step from an infrastructure perspective” for post facilities – and AI, particularly the machine-learning-based systems currently being introduced by NVIDIA and Amazon. In particular, Keske hopes that AI can help with routine tasks like versioning. “We have a lot of commercials that have 30 or 40 different versions. The more we can do that with machine learning, the better,” he says. This evidence-driven approach to new technology helps Nice Shoes stay in the vanguard of the industry without breaking its budget, while Lenovo’s ThinkStation P Series workstations give Keske the certainty that its artists have the computing power to tackle even the most demanding of creative jobs.